She came into the cowork space with uncertain expectations. An adjunct professor longing to gain full-time status — she taught classes at the state university, the community college and a for-profit institution — she signed up seeking a quiet space to grade papers and sharpen course guidelines. One morning, with space filling quickly, she stepped outside of her shell and took up a spot at a community tables next to a freelance writer. They struck up a conversation, not about her work as a math educator or her doctoral degree in early learning education, but about the challenges of raising teenagers. A friendship began to form after that day and they made a point to speak each time they ran into each other at the cowork space. When the freelance writer learned she held definitive thoughts about teaching math to children under 5, it piqued his curiosity. He suggested she contact his friend who conducts an annual early-learning seminar in the adjacent county and apply to teach a session. She gained approval, and that one session led to more engagements. One of the participants who sat in on her seminar loved her theories. That initial impression led to an interview and she eventually landed a job — not teaching classes but serving as the executive director of an early learning initiative at the state university. The story illustrates what can happen at a cowork space when you go beyond just seeking a place to squat with your laptop for a couple of hours. 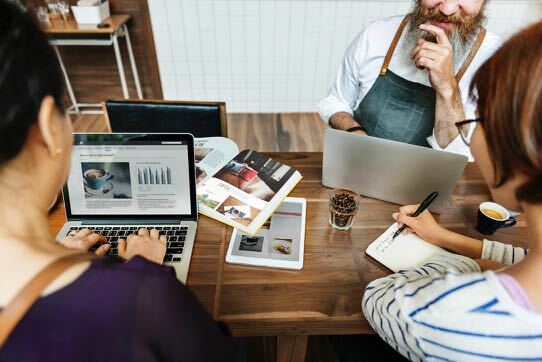 Cowork spaces have risen in popularity because they offer a unique opportunity to utilize a productive work environment while taking advantage of networking opportunities and convenient amenities. Here are four steps you can take to make the most of a cowork space. A great cowork space will offer a variety of work stations and environments. The new member should experiment and find the spot where they can be most productive. • The comfy chair, where you can make your computer live up to its name as a laptop, may be best. • The standing desk fits your energy, allowing you to work while achieving your health goals. • The conventional desk delivers the creature comforts of a traditional office. • The community table allows you to spread out a little bit while inviting others to engage in conversation. • The inner office lends greater quiet and allows for a more intense focus. However, don’t overlook the art of getting comfortable. As you grow more accustom to the cowork space, you may discover the different options foster different types of productivity. Certain tasks may require a focused effort that necessitates retreating to the inner office; while the comfy chair may be best for editing your work or the work of others. This is why experimenting with the different work stations can prove so beneficial. A great cowork space provides the options you can’t find at home or even a coffee shop. Great cowork spaces feature great amenities. Once you join, make the most of them. If the Kuerig machine beckons, get another cup of your favorite joe. Need a pick me up, grab a snack out of the kitchen. Seeking a secluded spot for that private phone call, step into one of the closed rooms. But those are the obvious. Some cowork members may not realize other great values. • Get to know cowork community manager. Go beyond just learning their names. Connect with their hopes and aspirations and share your own dreams. 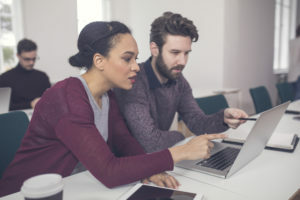 They may be able to lend advice that can boost your goals or connect you to other cowork members who can prove to be an asset. • Show off your space to clients and perspective clients. Some see the cowork space as the location for work tasks, and then flee to some restaurant or coffee shop to hold a meeting. Such an approach doesn’t maximize the value. Schedule coffee dates at your cowork space. Let others get a sense of the warmth and vibrancy you rely on to be productive. They may appreciate the introduction so much they will join you. • Take advantage of event space. There may be an added fee, but inviting community members, potential investors or mentors into the center for a coffee klatch or happy hour can be the perfect way to showcase your efforts and reflect your goals and, in some cases, formally launch your business. Yes, it’s a cowork space, but it’s also “your space.” Own it in its entirety. The story of the aspiring professor reflects a real value of the community space. Networking. Serendipitous moments can arise from chance encounters and the benefits of extended friendships are all too real. Most important, they can’t really happen if you’re alone in your home office. • Bring the sunshine each time you step into your cowork space. Each member operates independently, but activities and acknowledgment between members can fuel productivity and happiness. Wayne Baker, the Robert P. Thome Professor of Business Administration at the University of Michigan Ross School of Business, defines this as “relational energy,” an energy that is a vital personal and organizational resource and a key to greater productivity. • Make friends with your fellow cowork members. And don’t think it’s a simply a matter of networking so you can gain advantage. The great motivational speaker Zig Ziglar once said, ”You can have everything in life you want, if you will just help other people get what they want.” Everyone brings a degree of expertise to a cowork space, and while you certainly want to tap into that advantage, you also want to recognize it’s a two-way street. Sometimes it’s not about immediate dividends, it’s about trusting the process and believing in a little karma. • Attend events staged by the cowork. Yes, you will be smart to work at the community. If you have a separate office, forgo it from time to time and step into the primary cowork space. Yet, even if you do those things, you also should be a presence at the cowork’s nighttime or special events. Even the experienced entrepreneur can gain from various presentations, plus attendance reflects a true commitment to the cowork community. The best cowork members not only follow these practices to benefit themselves, but to boost the quality of the cowork space. When you find a home at the right cowork space, engage and spread the word about the benefits. While the cowork benefits are plentiful, you have to ensure the activity, acknowledgements and ambient noise all add to your productivity. There’s no advantage to belonging to a center where you converse with others but fail to get work done. • Navigate the networking with dedicated days or times. You want to connect with cowork members, as described above, but if you’re experiencing a particularly busy morning or need to focus on meeting a deadline, squirrel away in a corner, don headphones — the universal symbol you can’t talk — and go to work. • Take a break from key tasks. A lot of research into productivity — including groundbreaking research from pioneering sleep expert Nathaniel Kleitman — indicates that daily activity operates on “ultradian rhythms.” These waves of energy indicate that after 90 to 120 minutes of concentrated work, the mind often needs a 15-to-20-minute respite. This approach can help you maximize productivity in a cowork space. In short, remember that collaboration and cooperation are key tenets of the cowork, but so too is work. If you arrive at your cowork space with a developed routine, ready to connect and bring the sunshine, you can find the experience as exhilarating as a pilot taking off from the runway. Many are finding that experience at Rising Tide Innovation Center. Come learn more about how this cowork can help you rise to new heights.